We proudly partner with our clients to craft leadership learning paths that are structured to meet the developmental needs and goals for leaders across all functions, at every level of the organization. A learning path provides an implementation framework that guides the learner through a progressive curriculum designed to support the training and sustainment needs for a specific leader audience. 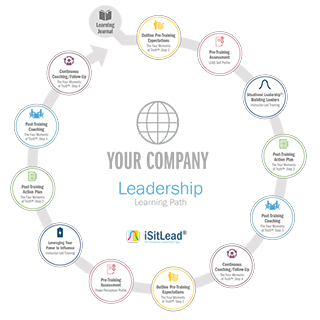 The structure and components of each leadership learning path can be assembled to seamlessly integrate into an existing curriculum, as well as support an organizational initiative. Request a meeting today to discuss the learning journey options available to your leaders!